Eckert Seamans is pleased to welcome member E. Duffy Myrtetus to the firm’s Richmond office and Business Division. Myrtetus maintains a diverse practice focused in business transactions, real estate, and commercial litigation matters. Myrtetus’ clients include institutional lenders and investors, real estate investment trusts, developers, loan servicers, underwriters, brokers, property managers, and other stakeholders in matters concerning the planning, entitlement, development, financing, and operation of real estate assets, as well as mortgage banking, title claims, loan workouts, foreclosures, receiverships and related transactions, and litigation. His experience includes all aspects of commercial leasing transactions, historic tax credit financings, and public-private partnerships. He regularly acts as local Virginia counsel for national transaction clients. 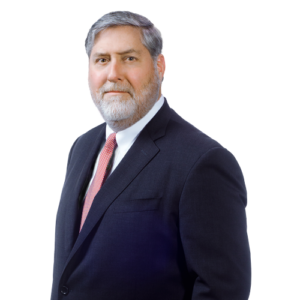 In his commercial litigation practice, he handles matters including title insurance claims, construction disputes, fraudulent conveyances, partition, and related claims. He also assists developers in community association law matters, including the formation of condominiums and other common interest projects for both residential and nonresidential owners, and counsels homeowners’ associations. Myrtetus also handles estate and trust planning and administration as well as fiduciary claim litigation and ancillary administration in Virginia and Florida. Myrtetus earned his J.D. at St. Thomas University School of Law in 1988 and his B.A. at the University of Richmond in 1985. He is a member of the Florida Bar’s Board of Governors and currently serves as chair of the Audit Committees. He is also a member of the Board’s Budget and Technology Committees, is a member and past president of the Out-of-State Division’s Executive Council, and is a past member and chair of the Council of Sections. In addition, he has served on the Longwood University Real Estate Foundation’s Board of Directors since 2004.